TPU got its hands on a picture of the ROG Rampage IV Extreme Black, a new motherboard with an almost complete black color scheme. 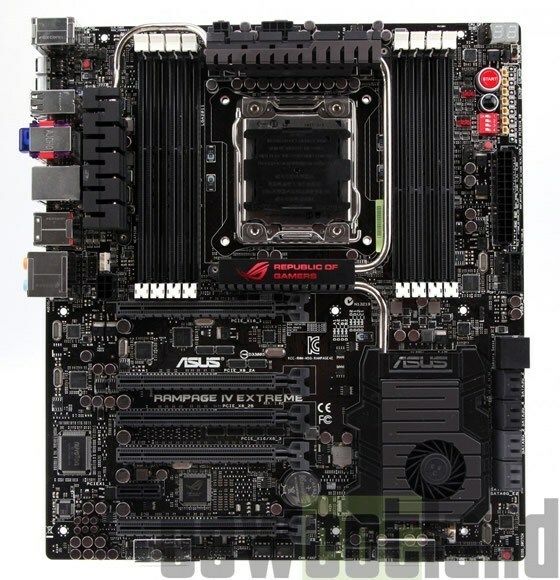 Other than the new color scheme, this motherboard is identical to the original Rampage IV Extreme. Pricing and availability is unknown. The Black variant could be ASUS' competitive offering to EVGA X79 Black. Based on Intel X79 Express chipset, the ROG Rampage IV Extreme Black supports Core i7 processors in the LGA2011 package, up to 64 GB of quad-channel DDR3 memory, four-way SLI/CrossFire, and a suite of overclocker-friendly features.